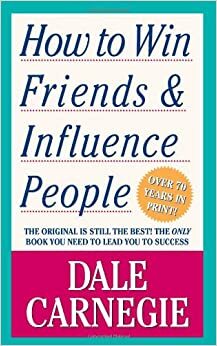 Check out Dale Carnegie's How to win friends and influence people. I was a skeptic at first, until I actually took the course. To get someone to do something, you have to make them want to do it. That sounds pretty straightforward, but really, that's what it comes down to. Others have suggested that at work, being a manager is the most straightforward way to make someone do something. That's because you have the authority to fire them if they don't. You can influence people without being a manager though. Heard of the carrot and the stick? The carrot dictates that you can convince someone that something good will happen if they do something. "You might get promoted" or "I'll brag about you to the boss" or "I'll give you a cookie". An example of "the stick" would be if you threaten to complain about a peer to their boss that they're not doing their job. Outside of work it's a lot trickier. If people think you'll do the work for them and they can just benefit, they're only too happy to go that route. You can appeal to their sense of guilt. "Hey Bob, remember last week when you said you'd send me a file? Just wanted to remind you". Appealing to their sense of justice works in some instances. The easiest way is if you can manage to get someone genuinely excited and then get them involved while the iron's hot. Both of these definitely helped a lot with my public speaking. I don't know if it's as "step-by-step" as you're looking for, but it's a classic and still quite popular -- I think it'll at least be a good starting point for you.